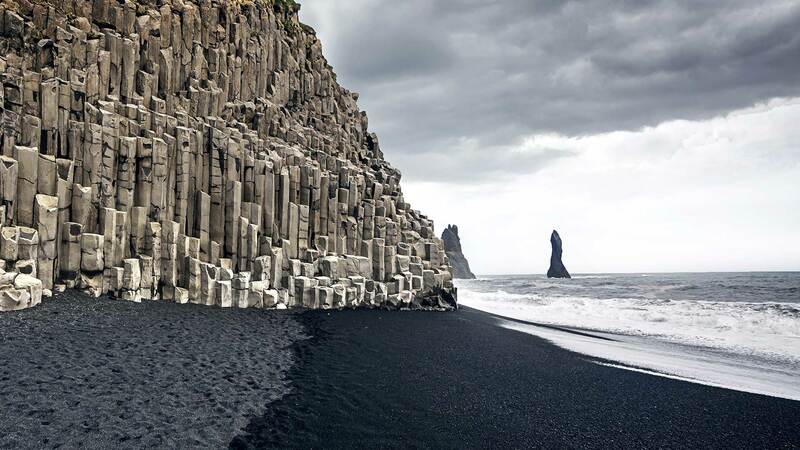 A great choice from our 7-day itineraries, this break takes you to see some of the country’s most incredible highlights of north and south Iceland. Enjoy an adventurous trip visiting waterfalls, black sand beaches and geothermal wonders in the south, and lunar landscapes, soothing hot springs and fun activities in the north. 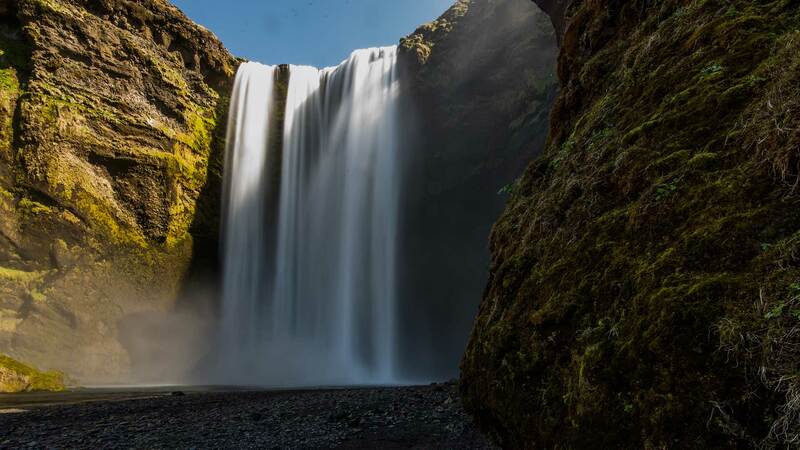 This is a multi-day tour, with planned activities and flights, which will cut down your travel time by car, giving you more time to enjoy the natural wonders of Iceland. 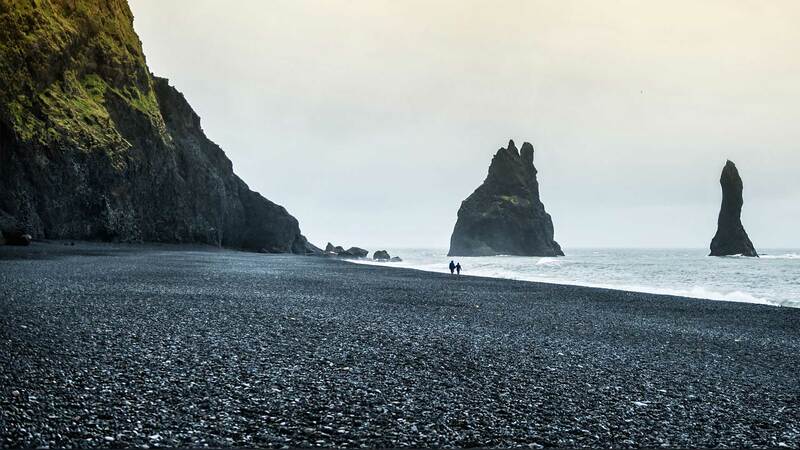 On arrival to Keflavik International Airport, you will be greeted by a professional driver who will take you to your accommodation in Reykjavík. After settling in, the rest of the day is free for you to explore Reykjavik. You can stroll the streets of the charming capital city, visit museums, and explore landmarks like Hallgrímskirkja and the Sun Voyager. For the evening, downtown Reykjavík offers numerous excellent restaurants, cafés, coffeehouses, and bars, for those who want to experience the renowned Reykjavík nightlife. and the spouting hot springs of Geysir. 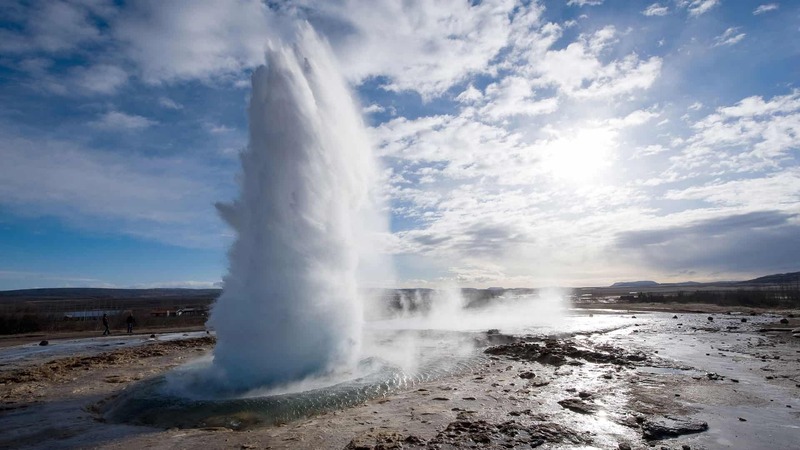 While Geysir lies dormant, its neighbour Strokkur erupts every few minutes, gushing steam and water from the bowels of the earth. A taste of Icelandic food and drink is included during the tour. 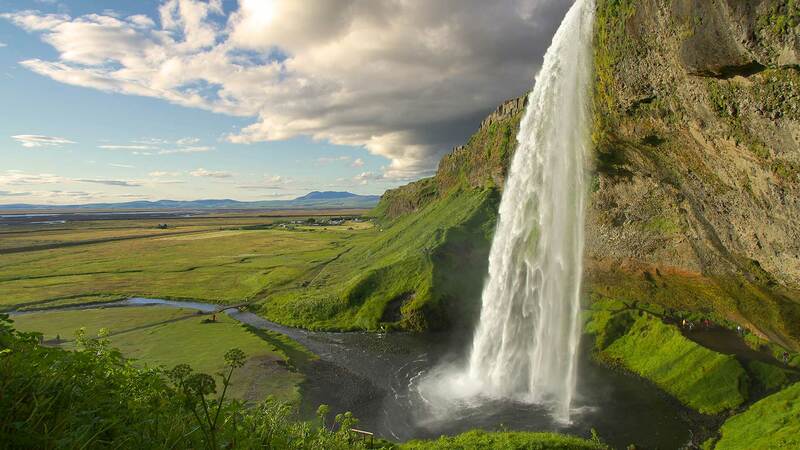 On return to Reykjavik, you will see the beautiful waterfall Faxi. 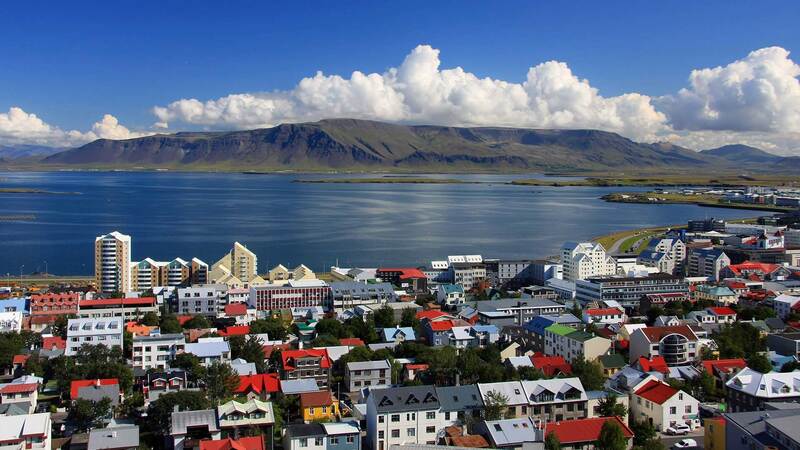 The day begins with a short flight to Akureyri, where you will spend the next two nights. 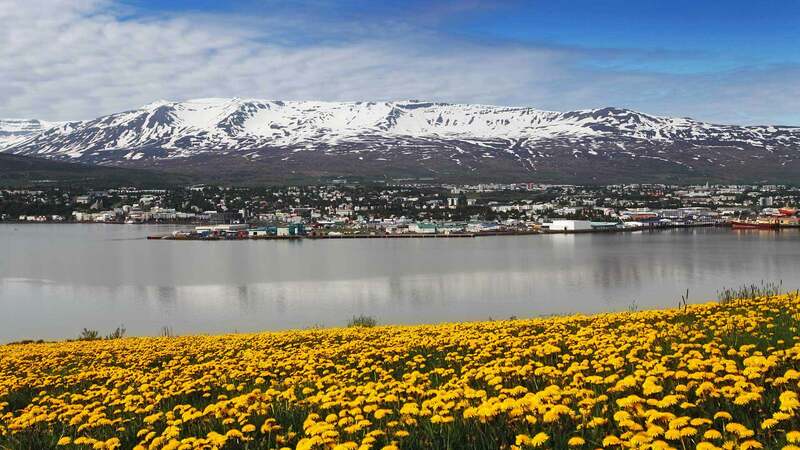 Akureyri, the unofficial capital of north Iceland, offers so much to do and see. You can take a stroll through the town centre and enjoy the variety of little shops, cafes and museums, as well as the botanical gardens and a thriving harbour. A visit to Akureyri‘s swimming pool is highly recommended, where you can relax in the heated pool and enjoy a soothing hot tub. 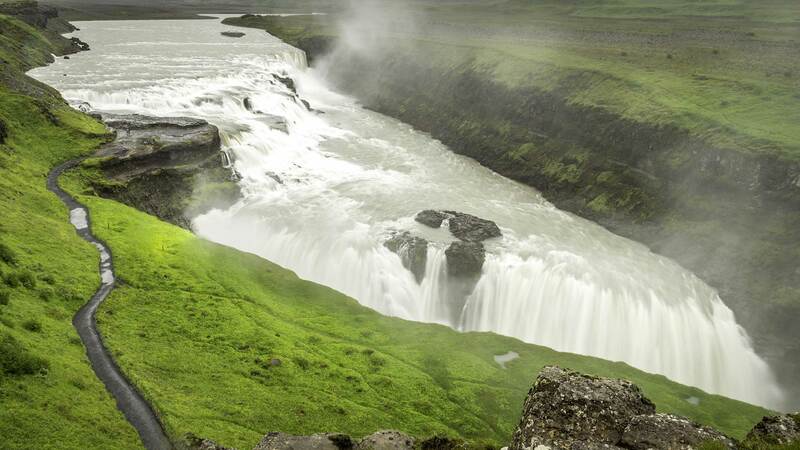 From Akureyri, you will explore the surroundings of Mývatn. 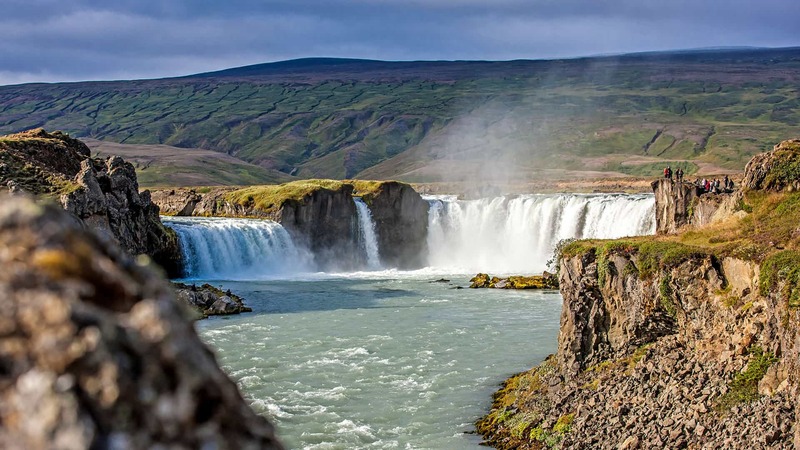 Along the way, you will stop at the mighty Goðafoss waterfall before exploring mud pools, pseudo-craters and lave fields. 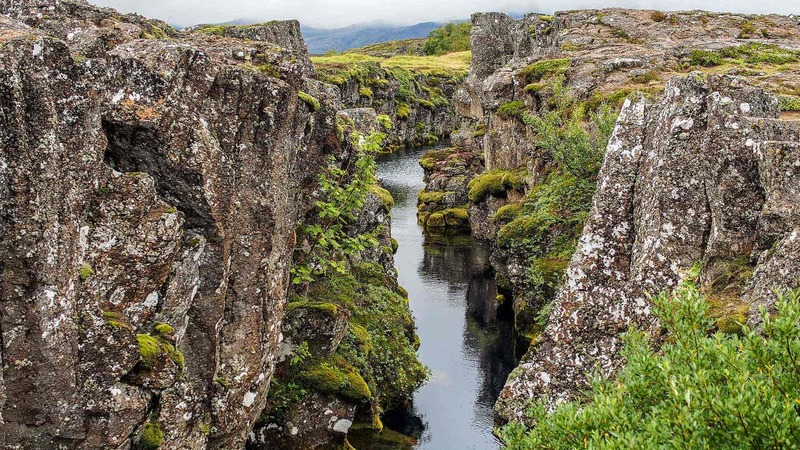 Another beautiful highlight is Dimmuborgir, an region of strewn lava rocks, small caves, volcanic rocks and cliffs. 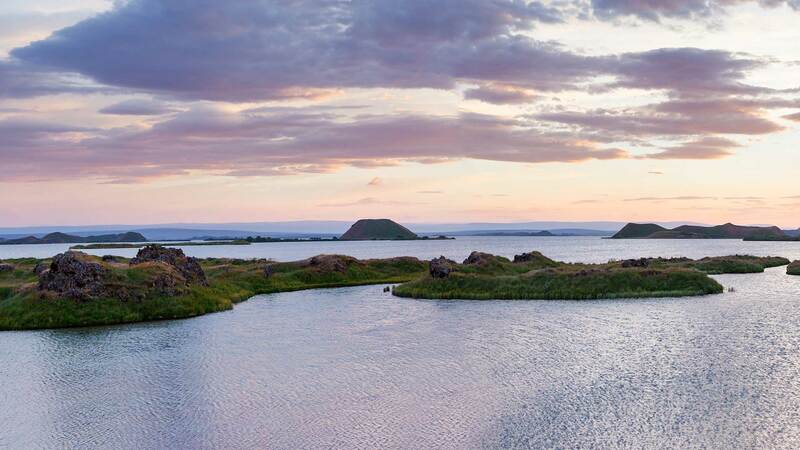 End the day with an included relaxing soak at the milky Mývatn Nature Baths, a pool of warm geothermal water drawn from depths of 2,500 metres. 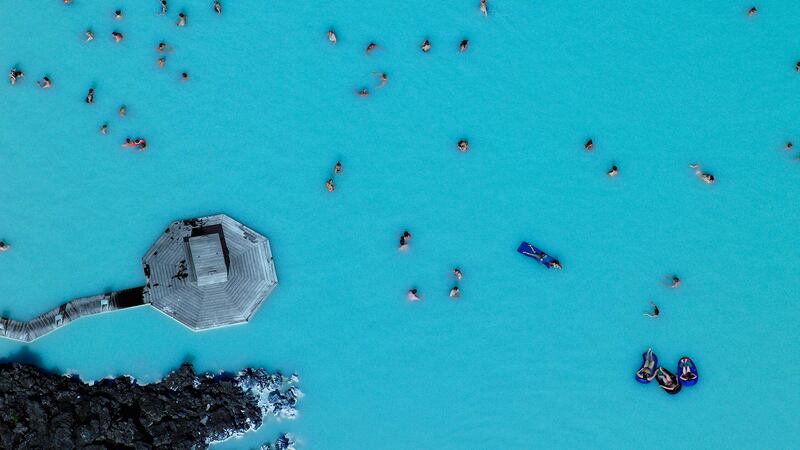 Today you will fly back to Reykjavik and enjoy a tour to the Blue Lagoon after lunch. You can spend your time bathing in the heated geothermal pool, which is rich with silica and soothing for your skin. You can also enjoy a sauna or steambath and an array of spa services (which should be booked in advance). After relaxing in the water, you can choose to dine at the luxurious Lava Restaurant at the lagoon, before transfering back to Reykjavik.